Lynn Gastineau is no stranger to setting records. 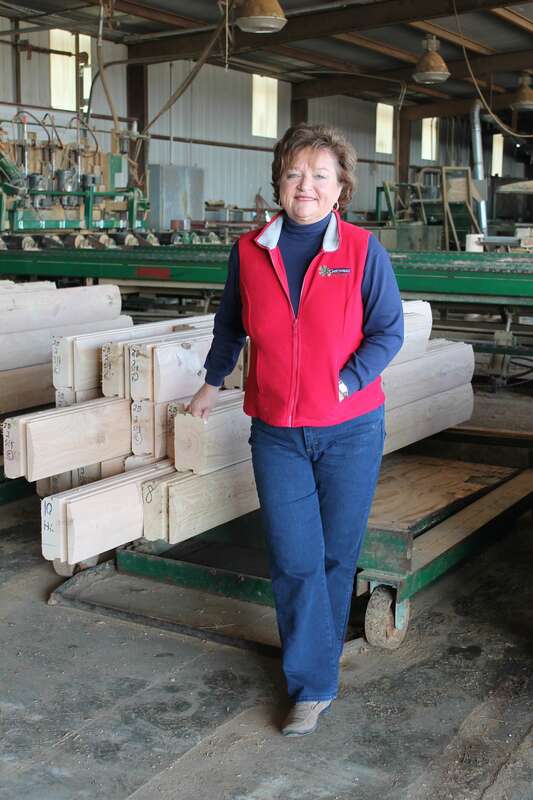 In addition to being TAB’s longest running member, she was the first woman to start a log home company and the first woman to receive the SA Walters Award for Lifetime Excellence in the Building Systems Council. In honor of The Alternative Board’s 25th Anniversary and Lynn’s invaluable participation within the TAB community, we reached out to her to learn more about her incredible journey and her experiences with TAB over the past 22 years. TAB: Tell us a little bit about your business. Lynn: Gastineau Log Homes helps customers obtain their dream log homes from the ground up – it’s a combination of an architectural firm, a manufacturing company and a construction consulting business. They help ensure their customers homes meet code, are properly engineered and can be built within their given budget. They have designed and manufacture several proprietary components in addition to the logs and beams. They specialize in oak logs and are the worlds largest producer. 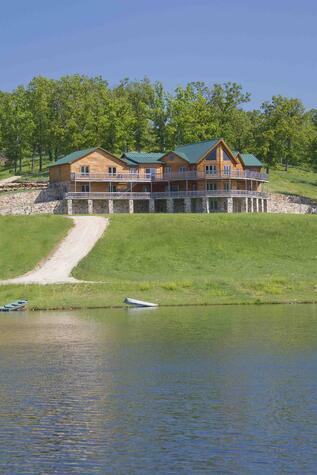 They also offer Pine, Cypress and Cedar as a milled log home as well as handcrafted logs homes and timber frames. 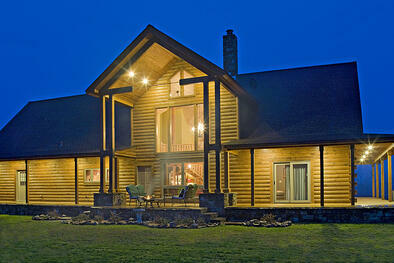 Since 1977 when it was founded, Gastineau Log Homes has shipped homes to all 50 states and 12 foreign countries. TAB: That’s quite a specialization! 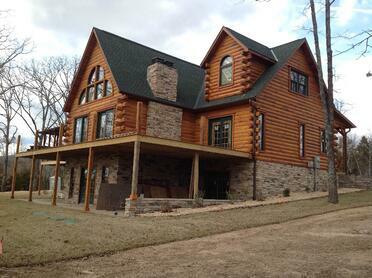 How did you get into oak log home production in the first place? Lynn: Growing up, my dad owned a sawmill business. I didn’t realize until much later that not everyone sat around the dinner table discussing personnel issues and equipment! Business ownership seemed like a part of life to me and the natural direction for my future. While I was primarily interested in construction, there were very few women in the industry at the time, so I decided to study Fashion Design and Business in NYC instead. When the log home industry began taking off, I knew it was time to move back home. No one was manufacturing oak, no one was manufacturing in central Missouri, and I knew my parents’ equipment could help me get started with low expenses – a huge advantage in such a capital heavy business. Everything started growing from there! TAB: When did you know it was time to seek outside business advice? Lynn: The business was growing extremely fast, so I dropped in at a local informational TAB meeting. I started the business myself and was doing everything on my own. I knew I was going to need help if I wanted to grow the company and meet growing customer demand. Managing the staff and dealing with growth would require help. I saw TAB as a way to help me through that process. I was looking specifically for something that was more ongoing than a business consultant or seminar – something with consistency. TAB fit the bill exactly! TAB: Having been at TAB for so long, you must continue to see benefit in its services. How has it helped your business? Lynn: In addition to helping me grow as a better CEO and president, TAB taught me how to manage people. Talking to other business owners about how they manage their staff and finding patterns in employee behavior across different companies helped me better manage my own staff. It may be more of a personal gain than a company gain, but it’s definitely translated into a company gain over the years. TAB: Do you have any specific examples of your TAB board assisting you with personnel issues? Lynn: I once had a manager embezzling money from the company, because our in-house accountant created such a mess of the books. Another member of my board referred me to a replacement CPA who he previously interviewed for a job. The CPA instantly cleaned up the mess and saved sanity! TAB: You mentioned how personal gains translate into company gains. How has TAB benefited you personally over the years? Lynn: It’s comforting knowing that I’m not the only one going through many of the things I’m going through. I work long hours and live in a town of 600 people where no one is doing what I do. TAB made me a part of a network, a community built on trust and respect. As a business owner, you can’t always talk to friends and family about business issues. With TAB, I now have “business friends” who have my best interest at heart. It’s a unique dynamic. TAB: What’s the most important lesson/takeaway you learned from your years with TAB? Lynn: When you get started in business, you think, “Once I solve this problem or that problem, everything will get easy.” In reality, as a CEO, your main job is to solve problems – one after the other. When you solve one problem, something else is going to happen. TAB helped me realize that that’s not because I’m doing anything wrong, but because that’s the nature of business. Things change; it’s your job to adapt. Your job isn’t just managing people or making the best product, but dealing with all of the issues that come up along the way. Understanding that setbacks aren’t a reflection of your effectiveness as a CEO makes them a lot easier to deal with and keeps you from feeling like a failure. TAB: What advice would you give to another business owner considering joining a peer advisory board? Lynn: I’ve seen a lot of people come and go from TAB. You can sense right away whether someone will last or not. If you come in, thinking you don’t have any problems and you have everything under control, and you don’t need advice, there’s no reason to join a group like TAB. If you’re someone who really wants to improve and doesn’t take it as a personal insult to have your processes examined and critiqued, you can find the best advice you can possibly imagine. The advice isn’t good if you aren’t willing to work on it. My suggestion is to open up your comfort zone and consider other opinions. If you think you’re the smartest business owner in the world and don’t like to listen, it won’t be a good fit. If you’re open to new ideas and suggestions, you’ll gain immensely. TAB: What was the most memorable moment of your TAB experience? Lynn: That’s easy! I built several homes in the mountains of North Carolina and built a home for myself West of Asheville. One year, a member with a 13 passenger jet, flew the whole group to North Carolina, and we had our meeting there! The whole group worked with me through my construction in North Carolina for years, and then they came down and saw the work in real life. It was really enjoyable for everyone – the most memorable TAB meeting ever! TAB: As business ownership is traditionally a male-dominated industry, what is it like being a woman in a TAB board? Lynn: During my time with TAB, there was only one other woman in the group, but I’ve always felt very comfortable with the gentleman I’ve worked with. They treat me as an equal. Being a female doesn’t stop them from being just as tough on me as they would anyone else. TAB: Any advice for female business owners? Lynn: Don’t limit yourself by thinking small. Female business owners tend to think less about growing regionally, nationally, internationally, while men tend to think bigger. Women should look at how they can grow their businesses beyond just what they see in front of them. One of the ways to do that is to join a group like TAB. Push yourself outside your comfort zone; you’ll be surprised with what can come from it. TAB: As you probably already know, TAB is turning 25 this year! What can you attribute to this success? Lynn: As a business owner, seeking external input is something you need, but probably won’t make time for if you don’t have consistency. TAB forces you to get out of the office once a month and talk to other people about business issues you’ve been struggling with. It’s like the gym: if you don’t have a schedule, or class, or trainer, it’s hard to motivate yourself to go. TAB is your personal trainer. 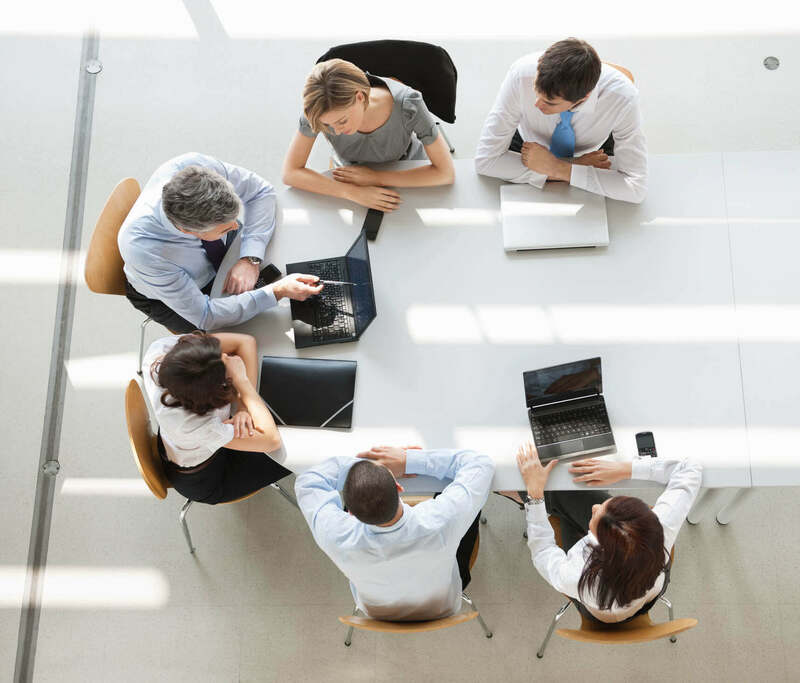 What you learn from each meeting builds on itself, and over time, it gives you a basis you can fall back on when you don’t have your board immediately available. TAB gives you a place to talk things out. When I bring an issue to the group, by the time I’ve gone through and explained it to everyone, there’s a good chance I already know what I need to do. Having to verbalize your problems makes you realize there’s an obvious outcome, but there’s no other group or person I can do that with. 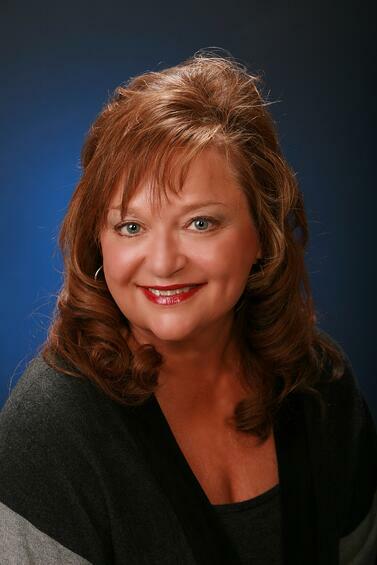 The Alternative Board is honored to have a business owner as prolific as Lynn Gastineau represent its 25 year anniversary. Lynn’s 22 year journey with TAB began with a simple informational session. If you’re interested in trying out a group that provides consistent business advice and an invaluable network of business owners to connect with, contact a local TAB board to learn more about membership.